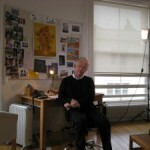 Home » Actors/Actresses » Comedy » Could the Vicar return as The Bishop of Dibley? Dawn French, on ITV’s Daybreak program, set the British comedy audience ablaze recently when she, once again, didn’t rule out the possibility of getting Richard Curtis’ Vicar of Dibley band back together at some point in the future. Before you set your DVR for the next meeting of the Dibley Town Council, this isn’t the first time that this possibility has surfaced. The last time was two years ago almost to the day when Dawn was on ITV’s daytime chat show, Loose Women, hinting at the same possibility. We wrote about this two years ago on November 6, 2010 so, it’s either deja vu all over again or proof positive vthat lightening can strike twice in the same place. What was hinted to us on several occasions during our 2010 interviews with various cast members of the great Vicar of Dibley, received another shot in the arm in 2012 when the Vicar herself said, yet again, that anything’s possible when it comes to more Vicar of Dibley episodes in the future. As reported by our friends over at the British Comedy Guide, the Richard Curtis creation could very well become more than a rumor. Right now, however, it’s just that, a rumor. A really great rumor, but still, a hopeful rumor. In July of 2010, we spoke with Roger Lloyd Pack (Owen) for the same special, who not only seemed to be very interested in the possibility, he was in possession of a cartoon that had appeared in his local paper suggesting such a possibility with a caption that reads “Forget all that village hall stuff for a minute, Roger – the Beeb wants you to star again as daft Owen in a new, follow-up series called The Bishop of Dibley.” Have to believe the papers, don’t we? 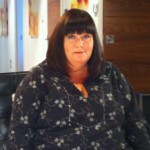 In 2010, Dawn French, speaking on ITV’s daytime chat show, Loose Women, not only hinted that the cast would be open to more, but did let on that Dibley’s producer mentioned at a cast get together after production ended that Richard Curtis had asked that the sets be stored, not dismantled. It would be quite the norm for a series that had come to an end to be taken apart and used in other productions. So….who knows as French did add in her most recent interview: “I think Richard is probably waiting for women to be officially made bishops“. Hey, it could happen, after all, Vicar’s don’t lie. According to the British Comedy Guide, the Church of England is currently considering allowing women to become bishops, with the Archbishop of Canterbury Rowan Williams vocally supporting the idea. The issue will be voted on by the General Synod next month. I just may go ahead and set the DVR. You? Today's British comedy what if: Dawn French was invited to the Royal Wedding?